I'm no tabletop gaming expert, but when it comes to Star Wars games, I'm always interested to try them out. I used to play Star Wars Miniatures by Wizards of the Coast, but since it's no longer being produced, I moved on and gave X-wing by Fantasy Flight Games a chance. 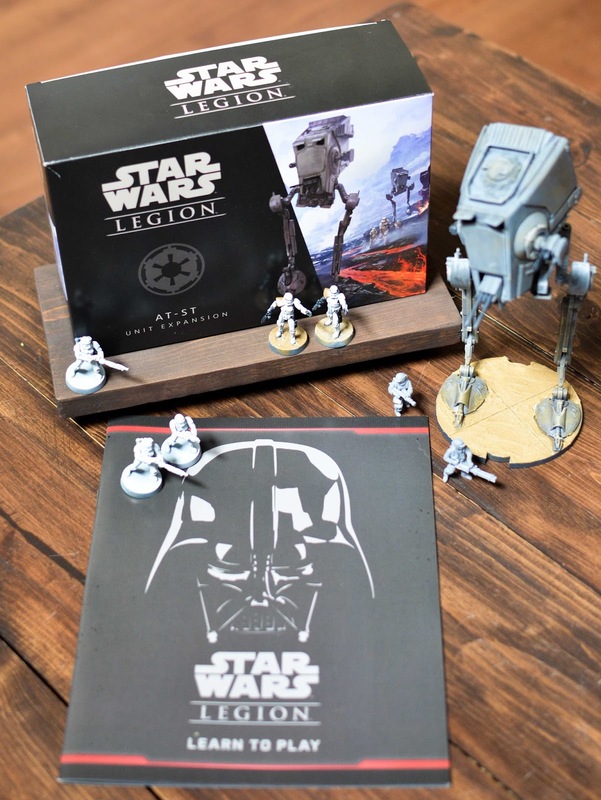 While I enjoy X-wing, I was really excited to hear that Fantasy Flight was debuting a new game called Star Wars: Legion. This is the first installment of a three-part series about Legion. 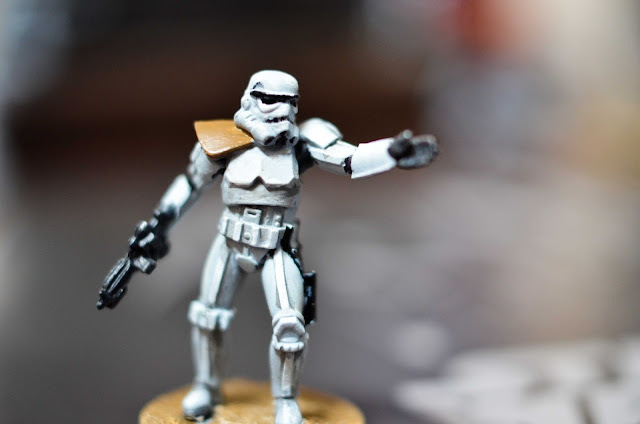 Today I want to give a brief overview of the game, how it compares to other Star Wars tabletop games, and why I'm so excited to start playing it! In the second post, I'll be talking about the painting process for the figures and then in the final post, I'll be reviewing the actual gameplay. If you have very little knowledge of tabletop games, you're probably thinking what the heck is this? Well, let me explain. First of all, this is definitely no Monopoly or Chutes and Ladders! Little kiddos won't get much enjoyment out of a game like Legion. In short, Star Wars: Legion is a two-player strategy game where you use miniatures of Imperials and Rebels to fight against each other. 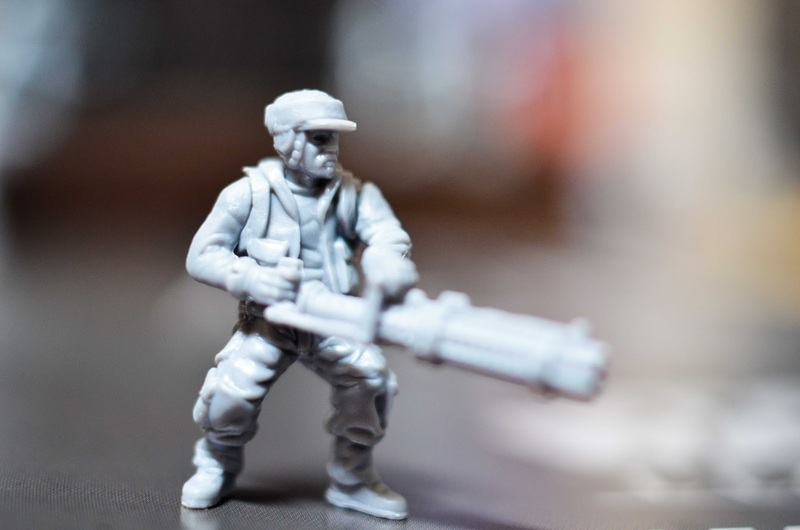 Unlike some other tabletop games, these pieces come unpainted and unassembled, which allows you to customize each character however you like. While some people may think this is tedious and an added expense, the unpainted aspect of the game is the main reason why I wanted it. My fiancé really enjoys both painting miniature models and playing tabletop games so I asked if he would get this game and he did! 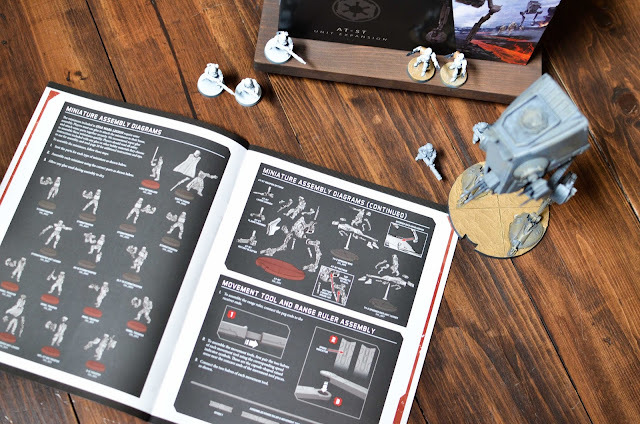 The core set for the game includes the following: 14 Rebel Troopers, 14 Storm Troopers, 1 AT-RT Rebel Walker, 2 Speeder Bikes, Darth Vader, Luke Skywalker, and 8 Plastic Barricades. It also includes a few dice, movement templates, tokens, quick start rules that are needed for gameplay. If you're not into painting the figures, no big deal! You can still play the game with unpainted figures, you'll just have to assemble them first with some super glue. If you're the opposite and enjoy painting figures yet hate gaming, that's cool too. You can buy all sorts of expansion packs for the game that includes different vehicles and characters, which make really cool displays if you just want to paint and display the models. All of the characters and vehicles can be painted to suit any sort of terrain that you want. You can have sandy looking characters if they are playing on Tatooine, snow-based themes if they're playing on Hoth, or even add some moss to the piece bases if they're fighting on Endor. Almost everything is customizable when it comes to how you paint and weather your set. Star Wars: Legion is very similar to the X-wing game in the sense that you can upgrade your units and you play the game in a similar fashion. I'll get into this more when I discuss the detailed gameplay in part three. Much like X-wing, the expansion packs include specific characters like Princess Leia, General Veers, and more. There are also several different ships and vehicles you can buy. My fiancé bought both the AT-ST and an additional AT-RT. 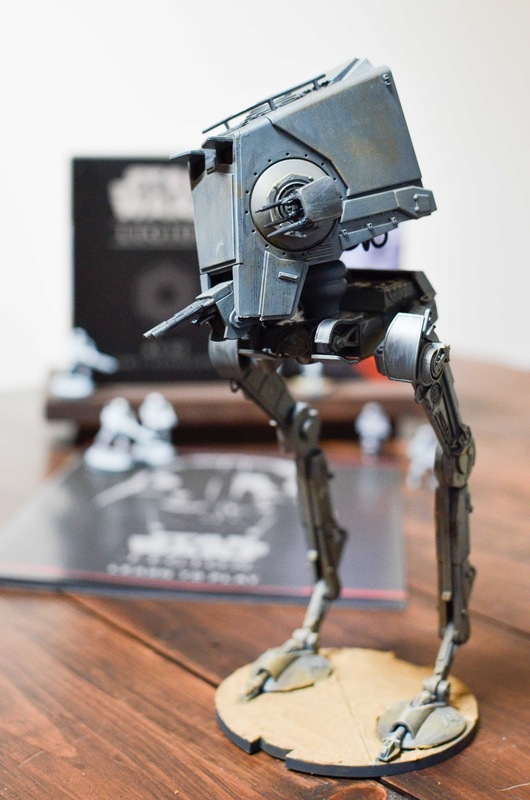 As you can see above, he painted the AT-ST to look like it belongs on a sandy planet. This could be Scarif, Tatooine, or Lothal depending on what time era you want to play in. That's another neat thing about this game- it pulls from several different eras in Star Wars. Some of the Rebel troopers come with Z-6 rotary canons, which you see in The Clone Wars. The same goes for the AT-RT as we see those in both The Clone Wars and Revenge of the Sith. Overall, I'm really excited to start playing this game. 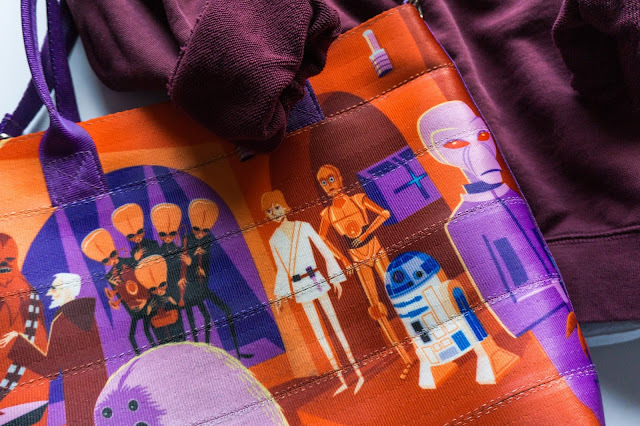 I'm already impressed with the detail of the pieces and all the different ways you can customize your characters. I'll be back soon with part two of this series where I'll be discussing how to paint the figures, what paints are good to use, and some great videos tutorials online that will walk you through all the steps. 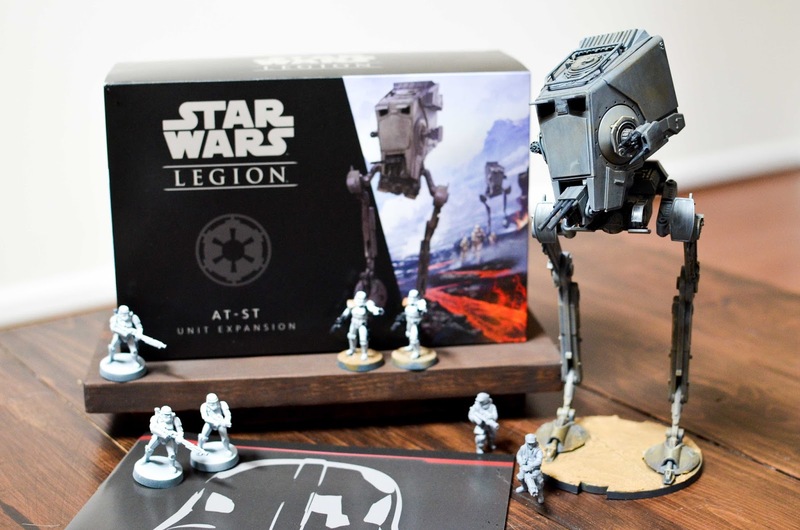 Have you played Star Wars: Legion yet? 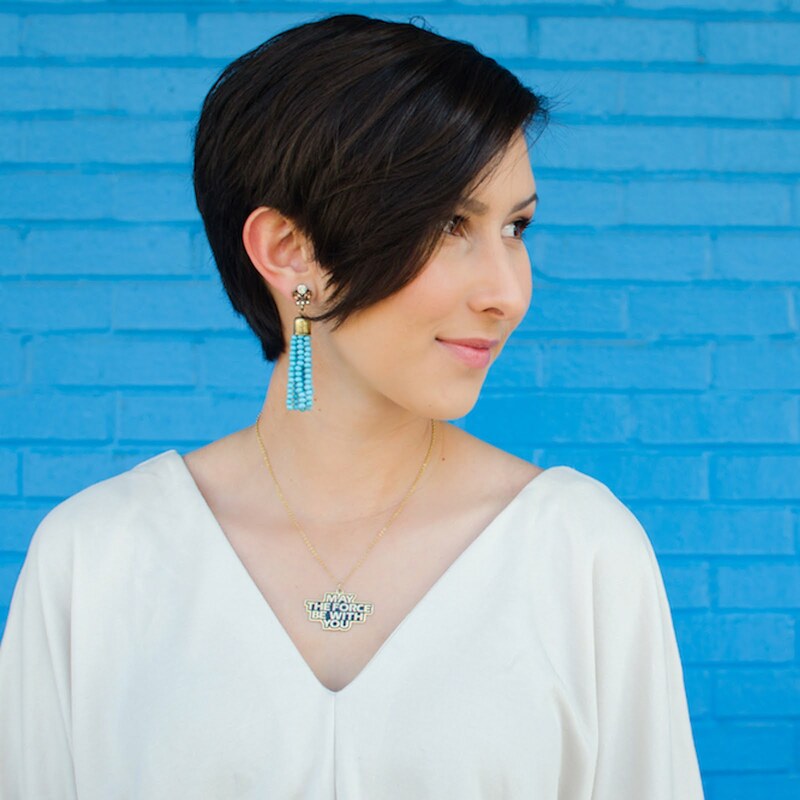 Leave a comment below and let me know if you like it! Not sure I would like this game because I'm someone who's not a huge fan of painting miniatures.